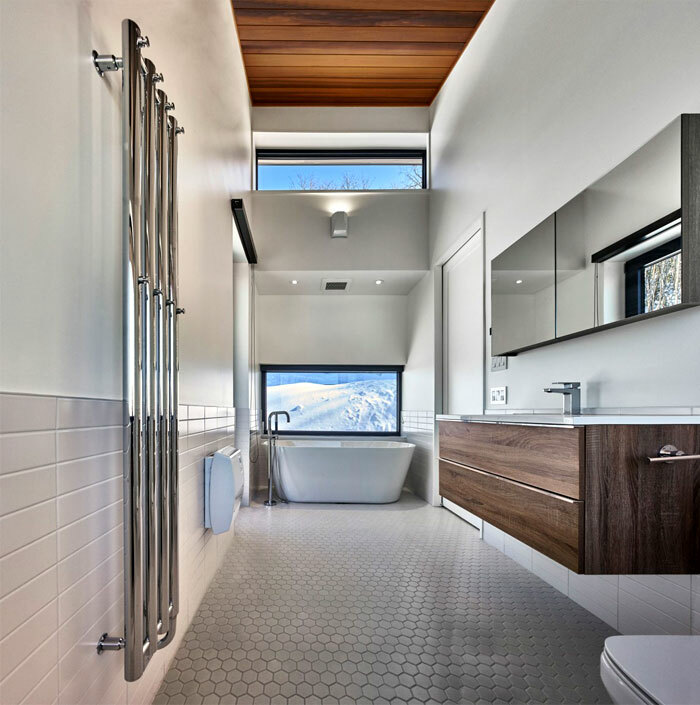 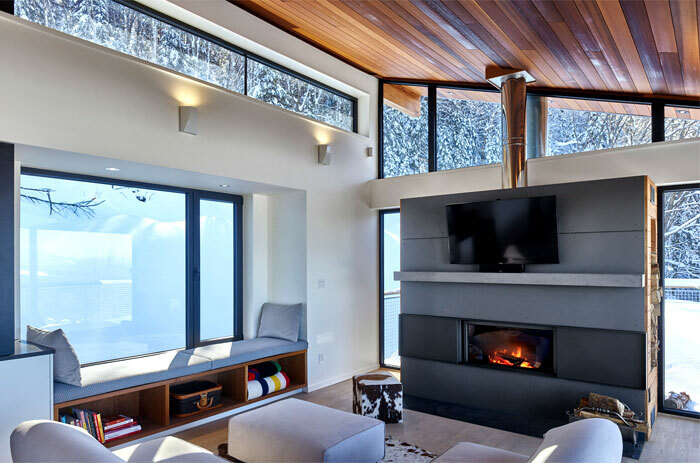 This magnificent ski chalet located in Canadian mountains entwines the rustic charms with a modern layout and inviting textures. 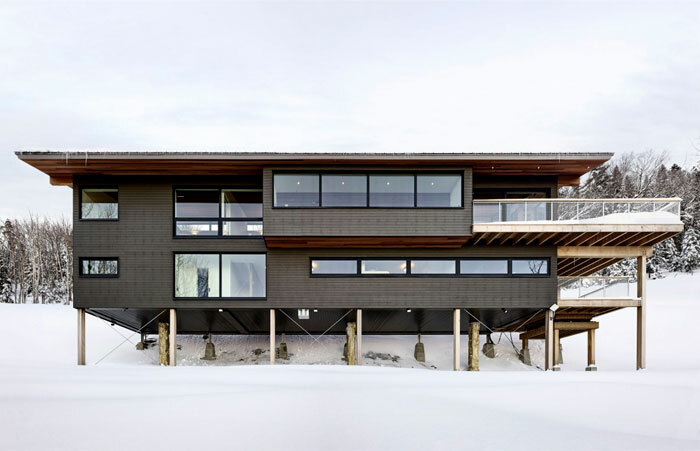 The architects from Robitaille.Curtis had provided the challenging architectural shell with vast panoramic windows that capture the 100-mile panoramic views over beautiful Lac Archambault and innovative elevated structure fast standing on red cedar pillars that not only minimalize the construction footprint but also secure the snowy days withstand of the home. 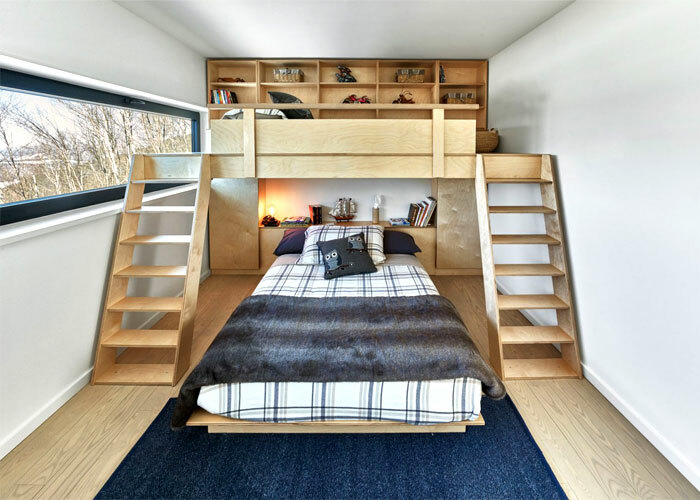 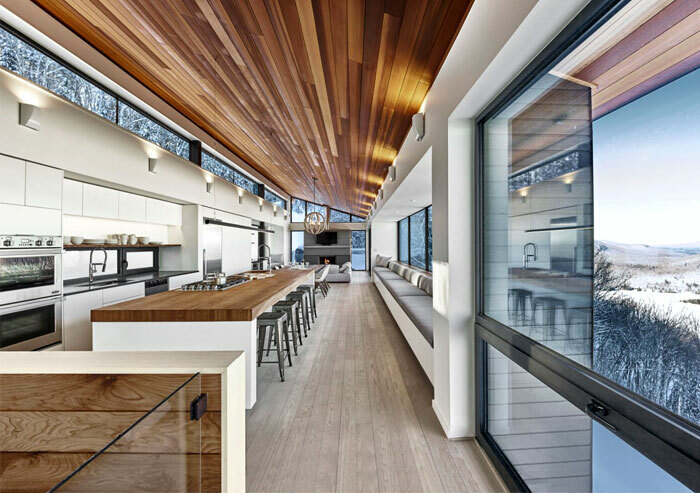 The interior combines the warmth of the wooden cladding and furniture, the charm of cottage inspired textiles and the modern technologies that facilitate and bring style to the living of the inhabitants. 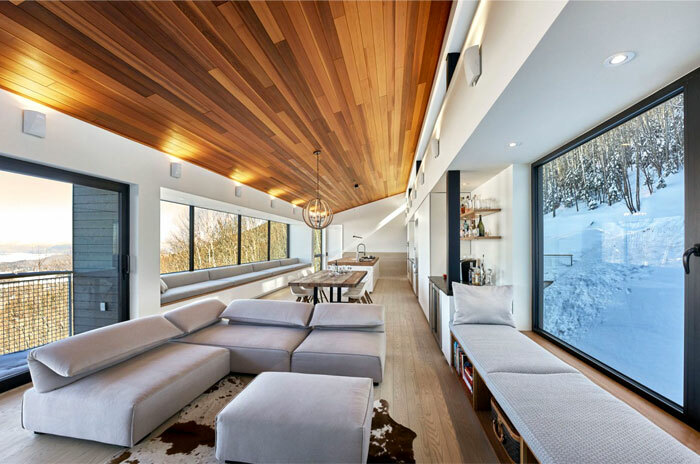 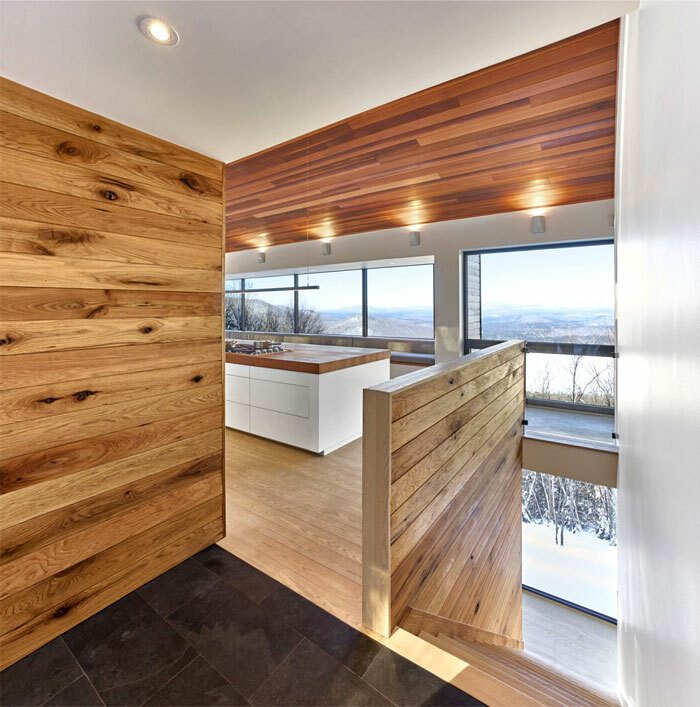 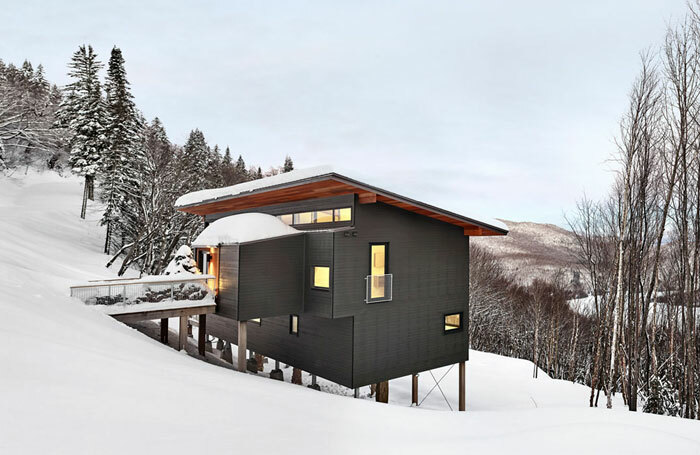 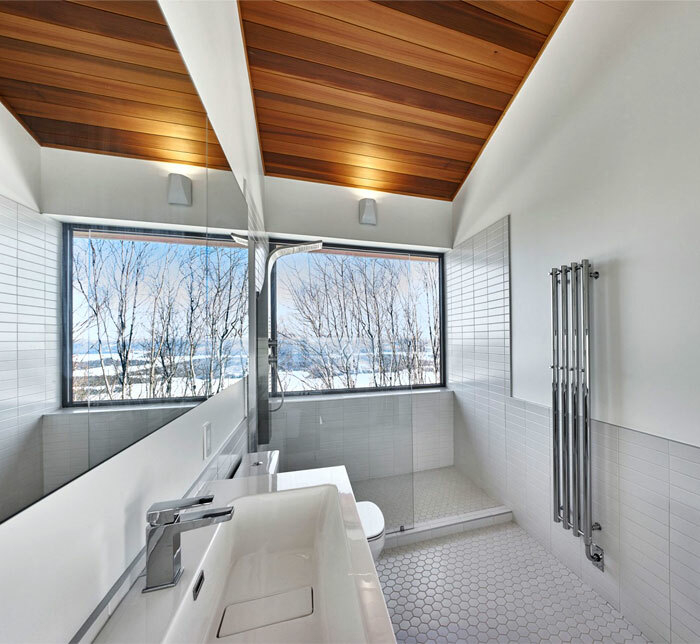 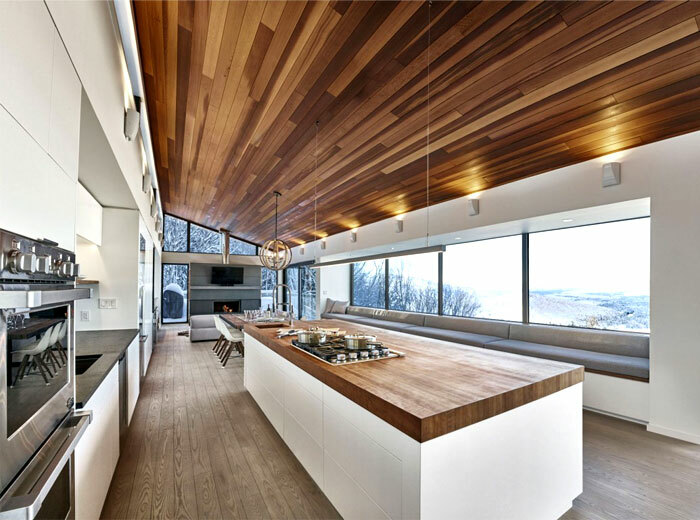 The main living premises are interconnected in one long open space that provides breathtaking views (sometimes on both sides of the room) towards the snowy forest. 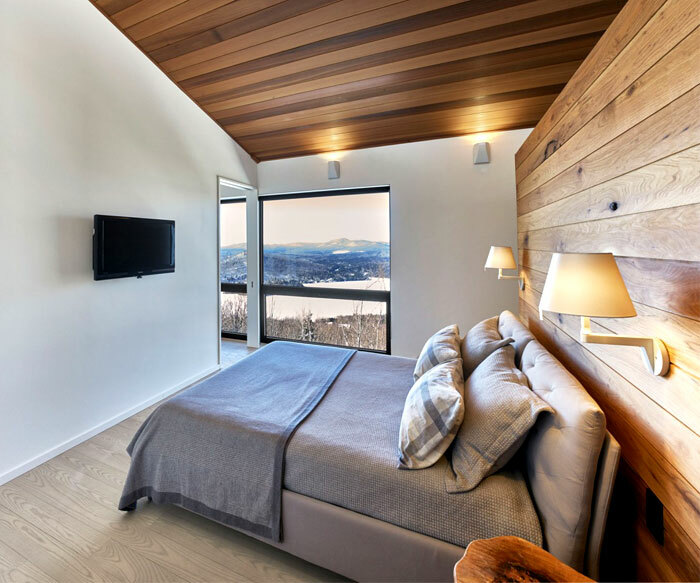 The comfy looking window sits and soft furniture invite and promise wonderful leisure time after a long ski day.